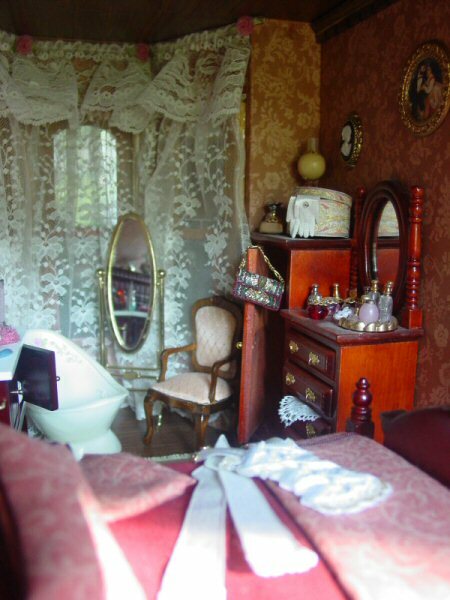 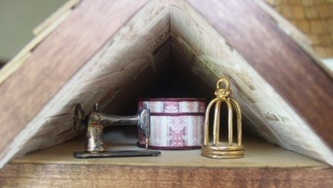 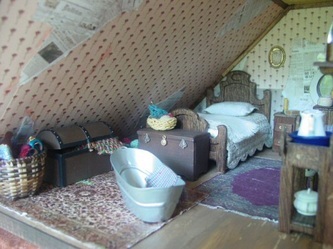 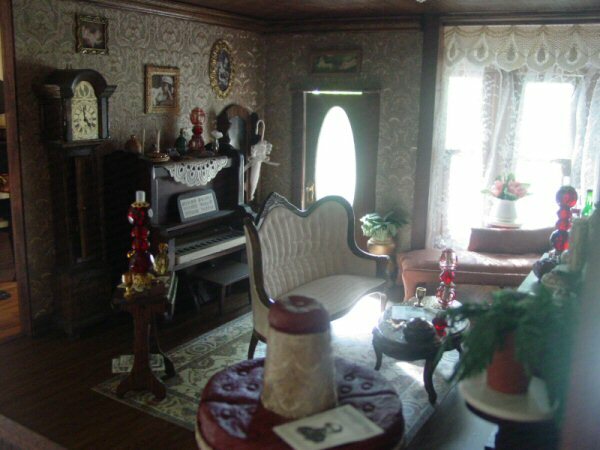 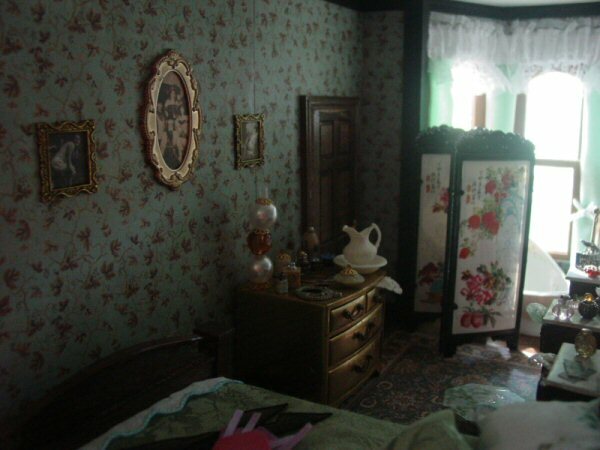 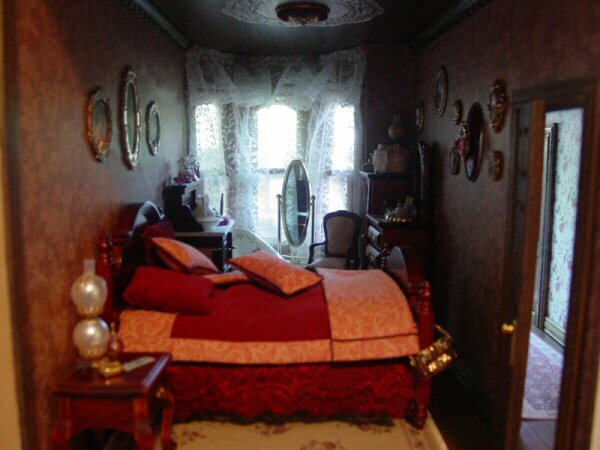 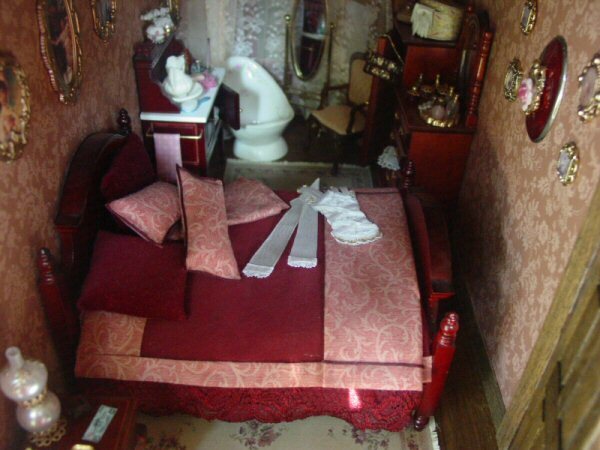 _A miniature 1850's Brothel, complete with Soiled Doves! Soiled Doves were so numerous by the 1850's that they may well have made up 25% of the female population of California. The "Doves" usually outnumbered respectable women in mining towns 25 to 1 and most towns got big enough to support regular brothels staffed by 4-5 women. 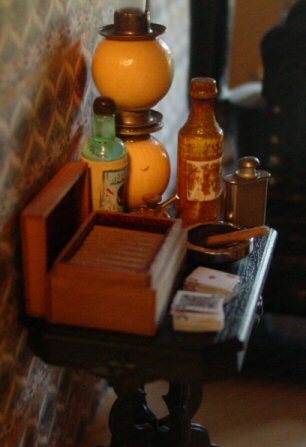 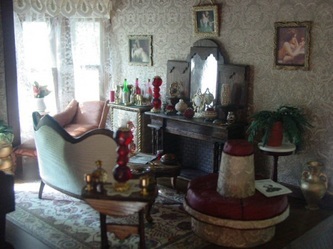 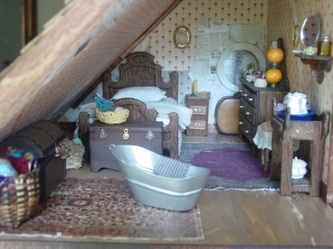 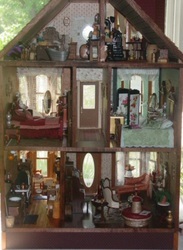 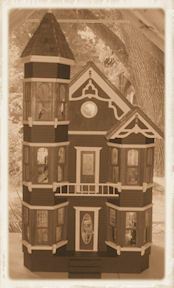 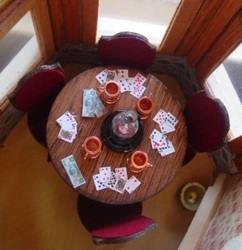 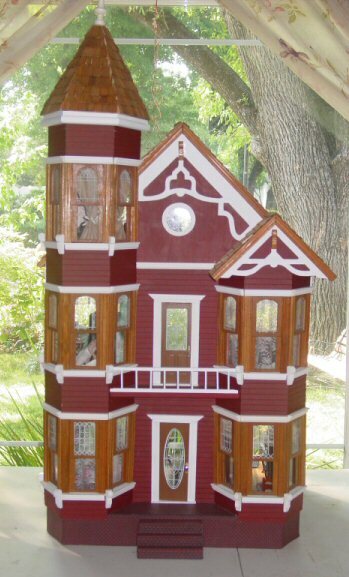 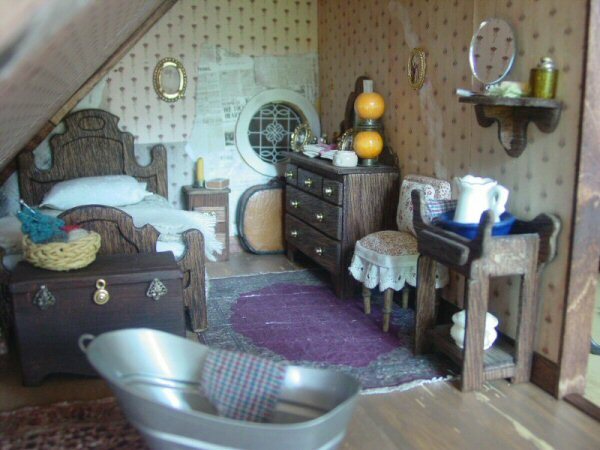 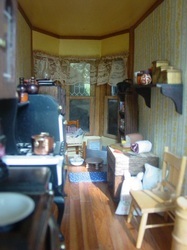 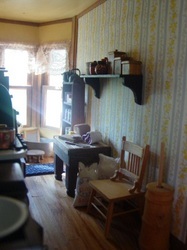 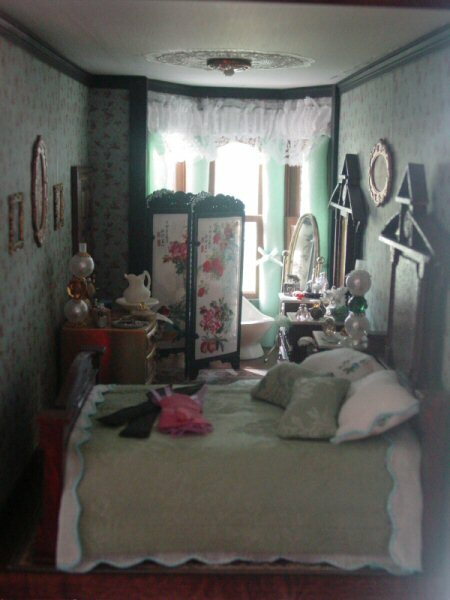 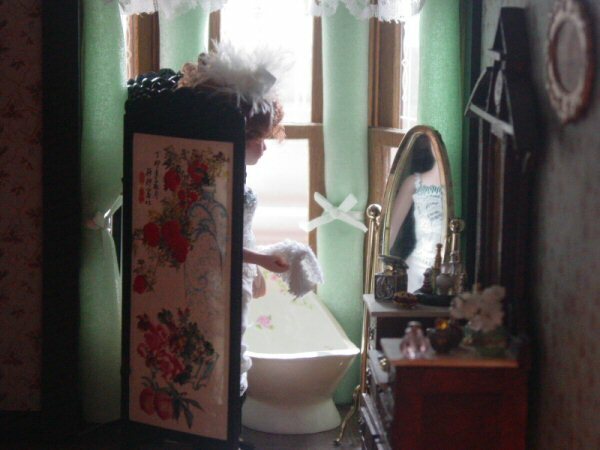 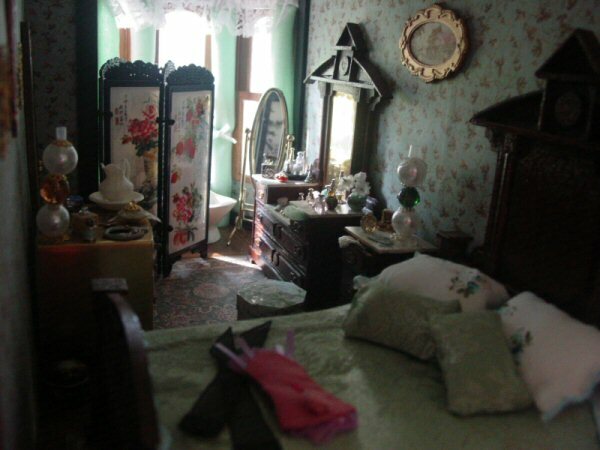 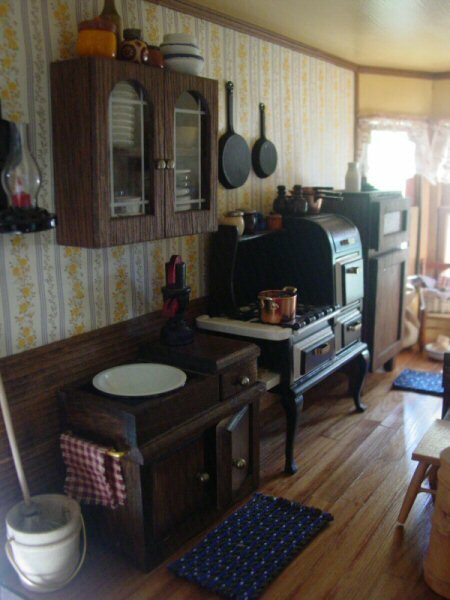 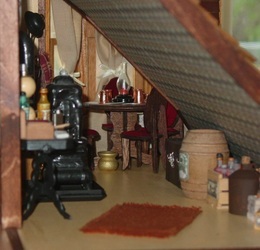 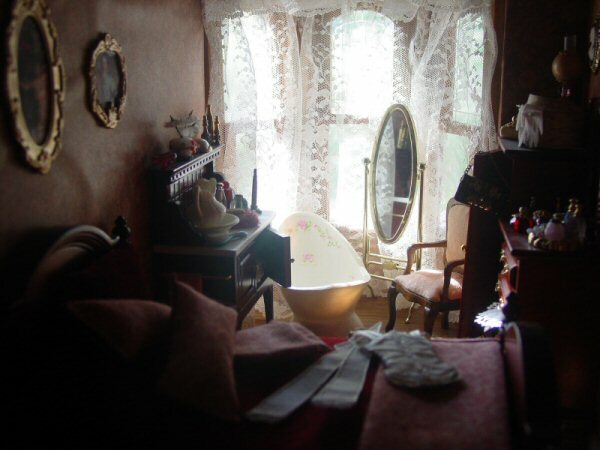 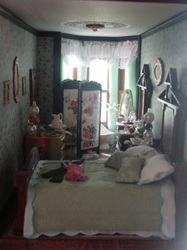 At the bottom of this page you will find links to other San Franciscan Dollhouse's and a video of Madam Ruby's.